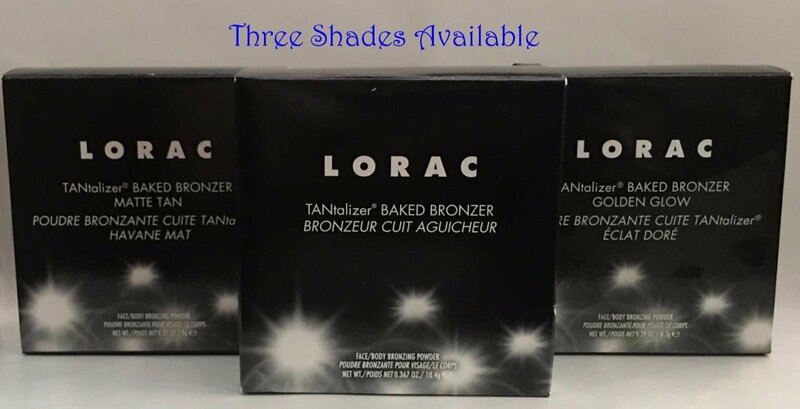 TANtalize and mesmerize with LORAC TANtalizer Baked Bronzers in three shades: the original, Matte Tan and Golden Glow. Swirling sun-kissed shades deliver Red Carpet radiance in an instant. Baked on terra cotta, this silky-smooth, luminous bronzing powder keeps you looking bronze and beautiful long after the sun has set and the cameras have gone. Extend the summer with this all-in-one compact containing bronzer in the top compartment and a brush and mirror in the lower compartment. Get a luminous Red Carpet glow instantly with TANtalizer Baked Bronzer! Unlike traditional powders, this bronzer starts as a creamy formula that is then baked on a tiny terra cotta dish to create a totally refined, richly pigmented powder. The baked terra cotta technology creates a silky smooth powder with excellent spreadability and evenly dispersed pigmentation that provides rich, long-lasting color. Ingredients: CAPRYLIC/CAPRICTRIGLYCERIDE, OCTYLDODECYL STEAROYL STEARATE, MAGNESIUM ALUMINUM SILICATE,DIMETHICONE, TALC, GLYCERYL STEARATE, NYLON-12, PHENOXYETHANOL, SODIUMBENZOATE, XANTHAN GUM, METHYLPARABEN, BHT, PROPYLPARABEN, ISOBUTYLPARABEN,ETHYLPARABEN, BUTYLPARABEN, MICA, CI 77891, CI 77491, TIN OXIDE.